You think one day in Budapest isn’t enough by far? We agree, and we’ll show you just what else can be seen and experienced over a three-day venture to the many fascinating spots in the Hungarian capital. Not satisfied with the one-day rush job? After seeing some of the major landmarks that never cease to leave travelers fascinated on day one (see What to do if… you have one day in Budapest), for your second day it’s time to get better acquainted with the Hungarian capital. Budapest is well known for the fact that the two sides of the city are separated by the Danube, but not enough people get to marvel at the bridges that cross the river. Even those that serve functionality rather than aesthetics still provide a beautiful view of the constantly shifting currents of the Danube, the flow of ice blocks in the winter. 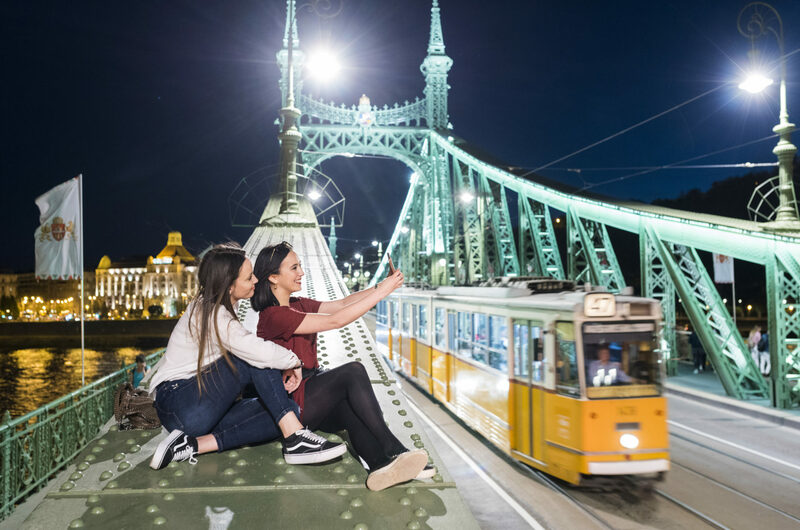 However, the Chain Bridge (Lánchíd) carries a serious historical legacy (it was the first permanent crossing), while Liberty Bridge (Szabadság híd), spans the river at a location that is among the most often visited by tourists. In the summer, it is sometimes even closed off to road traffic, so people can take over, have a picnic, enjoy a beer or a yoga class, and just generally hang out in an exciting place. 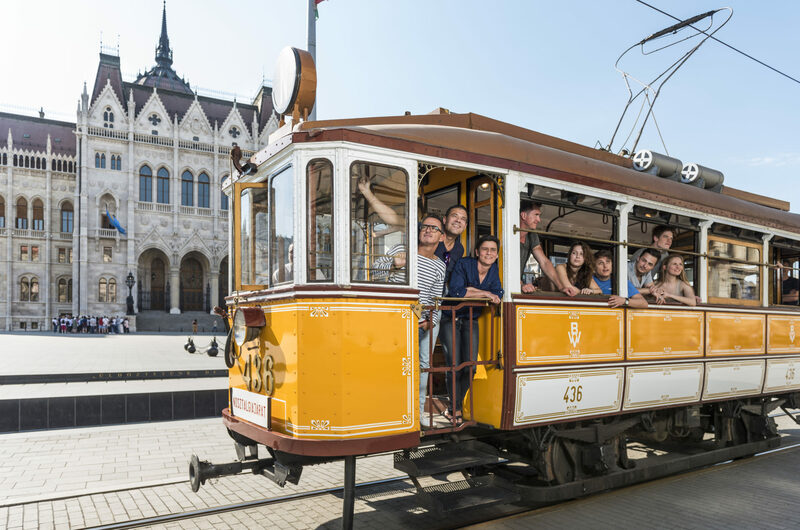 A great way to get to know the bridges is to take what may be Europe’s most scenic tram route, the tram no. 2, which travels the length of the Danube and showcases the scenery of the city along the river. Alternatively, if you prefer a different perspective, you can also take a boat tour. There are sightseeing boats organized for tourists, but even the public transport company operates a service with a standard timetable. If you’re already at Liberty Bridge (Szabadság híd), you can’t skip Vásárcsarnok, Budapest’s Great Market Hall. The historic building hosts an extensive array of traditional Hungarian flavors and delights, ranging from fresh local produce, cuts of meat, down to artisanal crafts and memorabilia. Ever thought of trying out the oil pressed from various seeds in western Hungary? Looking for home-made honey? The market hall is a must on any checklist, and it is a bustling location that will have you immersed in exploration for hours. You’re probably hungry by now and this day should be no exception for discovering yet another incredibly flavorful traditional Hungarian dish. The options are abundant whether you prefer high-end service or the local version of the corner diner where locals go in their lunchtime to eat. You should know that Budapest is a city of festivals, especially in the summer season. This includes world famous musical gatherings like the Sziget Festival, but the calendar is stacked with special events that showcase Hungarian food, wines, literature, craftsmanship and beer. These events introduce the best lineup each given sector has to offer. Since you’re here for a few days and have the option to sleep in, this would be the best time to check out Budapest’s legendary party life. 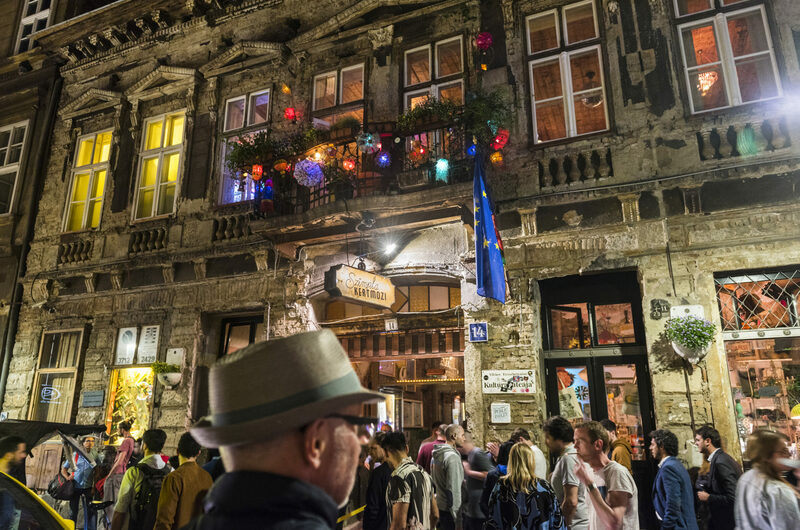 The area of Pest’s District VII – commonly referred to as the party district – has something for everyone’s taste, from the Ruin pubs – yet another of Hungary’s gifts to the world – to hundreds of pubs, bars and locations venues for music, dancing, eating and drinking. If you’re after some fun, join in, there will definitely be something here to meet your tastes. The party district is always in go-mode, venues are open every day late into the night. This is the neighborhood that also gives insight to the legendary wine culture of the country and the unique flavors of its famous regions. The wine bars in these parts stock the best the country has to offer. If you’re at a loss with the selection, someone will surely be there to help you find something that fully meets your taste. After sleeping off an eventful night, all you need is some relaxation and there’s no better place for that than one of Budapest’s world-famous baths and spas. 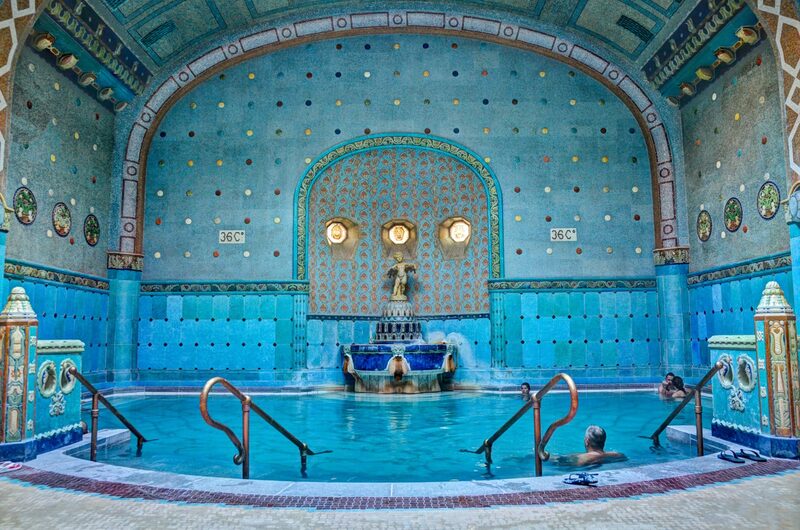 Budapest is known as the city of spas, so you will have plenty to choose from: just ask your concierge or rental contact to point you towards the nearest option or check out our section dedicated to Budapest baths. Soak in hot or cold pools in a magnificent setting, take advantage of the wellness services and get a massage, so that every fiber of you can feel the Budapest experience. The variety is extensive, ranging from the laid-back Turkish design of Király, through the eclectic beauty of Rudas, not to mention the bath named after Saint Lucas (Szent Lukács), which is renowned for its waters’ miraculous healing powers, to the “star” attraction, Széchenyi. All baths are unique, and all of them offer a relaxing and pleasant outing for the whole family. Besides the historic venues, several spas are also committed in Budapest to preserving the reputation of the city. Whether you are after singing bowl therapy at Mandala, Turkish bath treatment at Magnolia, a relaxing bubble bath at Harmony Spa, or a facial massage at Buddhattitude Spa, you definitely won’t be disappointed.